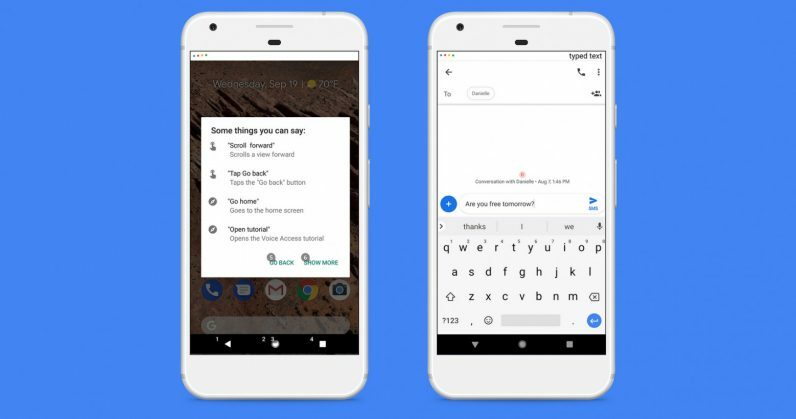 Google has a new free Android app that lets you get around your phone, tap buttons, and type across the interface and all your apps using just your voice. It’s called Voice Access, and it works similar to how you use voice commands with Google Assistant. The company says it was designed to help people with debilitating diseases like Parkinson’s and multiple sclerosis, but it should come in handy for folks who are multitasking or simply have their hands full. Once you’ve got it set up, you can launch apps, scroll up and down, and tap on things without lifting a finger. Tappable elements on the screen are overlaid with small numerals, so you can just call out any number to mimic a tap. I tried this for a few minutes, and it works like a charm. In addition to responding to commands, engaging this mode keeps Assistant in a continuous listening mode so you don’t need to invoke it repeatedly. To use it, you’ll need to have Android 5.0 or later on your device, and install the Google app, as well as Voice Access. Next, you’ll want to set up ‘OK Google’ detection so you can invoke the service from any screen on your phone, and follow these simple instructions to turn on Voice Access from the Settings menu. The next time you say OK Google, your phone will go into Voice Access mode as described above. It’s good to see Google actively working to make its services more accessible, and its implementation on Android is solid. Voice Access is currently only available in English, but it will soon work with other languages as well.